Sit back and enjoy the view! You can look out your "window" any time and gaze upon this calm mountain vista, imagining yourself sitting by the lake with your favorite quilt. 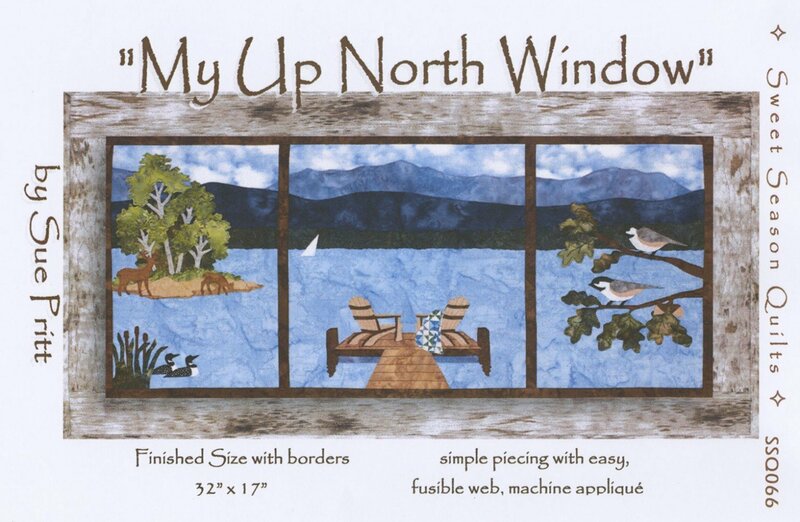 Quilt kit also available that has fusible-applique directions by Sue Pritt of Sweet Season Quilts, and fabrics for the top, binding and backing, including batiks and precut fusible-backed applique shapes. Wall size 32" x 17".